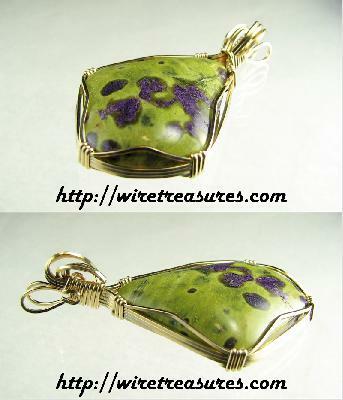 Someone shook this freeform Stitchtite cabochon and knocked all the purple to one side! Only kidding. Pretty Stitchtite cab is wrapped in 14K Gold Filled wire and sorta looks like a tipped bucket. 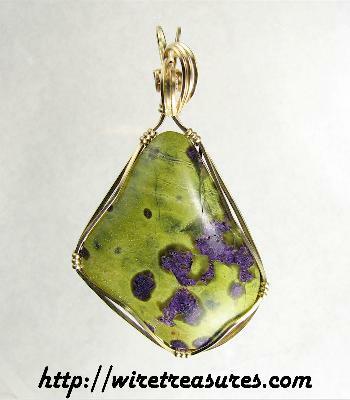 Add this sweet pendant to your bucket list! Click on the images below to see this item super-sized. If you have questions about this piece, please and I'll respond as quickly as I can! You are visitor number 1,144 to this page.